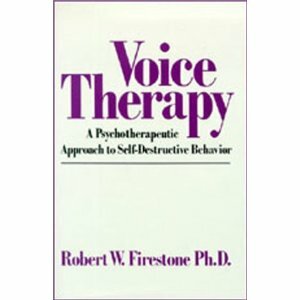 Foreword by Joseph Richman, Ph.D.
Voice Therapy: A Psychotherapeutic Approach to Self-Destructive Behavior is a thought-provoking work that provides clinicians with a detailed description of Voice Therapy, an innovative therapeutic procedure developed by Dr. Robert W. Firestone that can be used to elicit and bring to the foreground negative thought patterns antithetical to the self and cynical toward others (the critical inner voice). Compelling case histories illustrate the core defense and its effect on patients’ personality and behavior. The approach is unique in that it unifies cognitive, existential, and psychoanalytic frameworks and is a comprehensive theory of resistance to any form of psychotherapeutic intervention, personal progress, or development.